Being a versatile guitarist used to mean being as adept in chicken picking as you were in playing Scandinavian death metal. 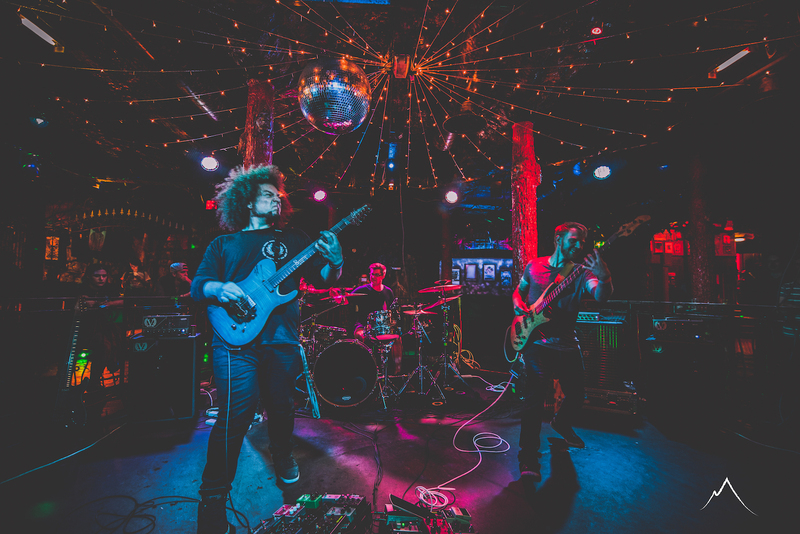 These days however, a musician’s versatility often comes down to how comfortably they can switch between sweep picking a modal scale and shooting and editing a travel documentary about their journey to the NAMM show. 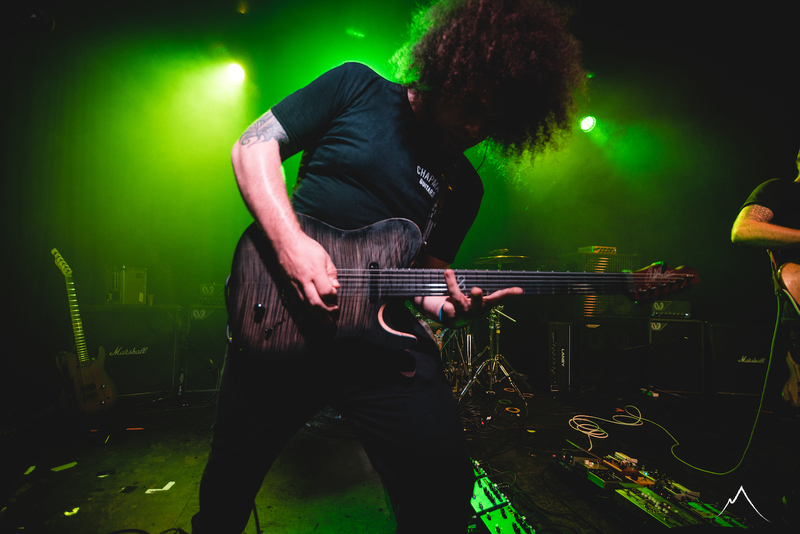 One guitarist who is as equally at home on stage as he is in front of the camera is Rabea Massaad. 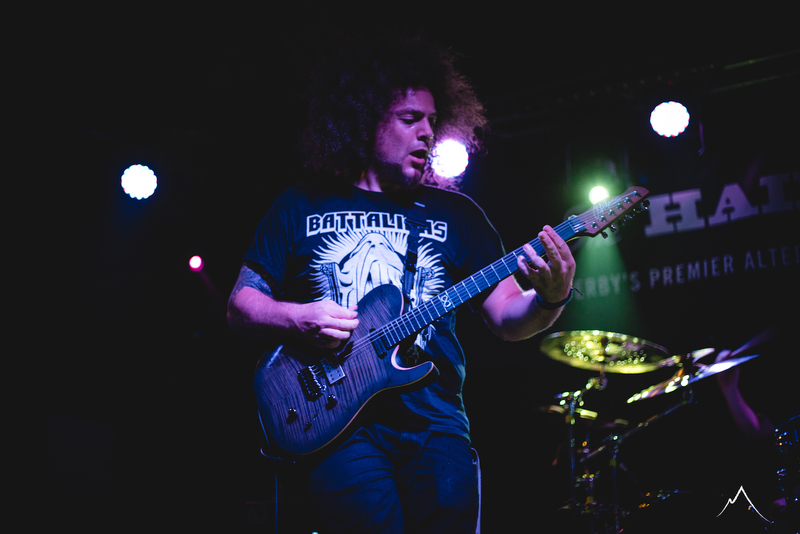 We spoke to Rabea about his band Toska, his love for '80s metal band Extreme, and how he grew into his role as a YouTube personality. How did you get started on guitar and how have your early influences shaped you as a player? I was actually a drummer beforehand. I drummed for about eight years before even thinking about guitar. It was only a knee injury from skateboarding that stopped me being able to play drums, as my leg was in a brace and I couldn’t use the hi-hat. As my dad was a guitar player, there were guitars in the house, and I realised I should give it a go since they were there ready to be played... and I was getting bored of playing video games! My early influences are still relevant to me nowadays. One of my favourite guitar players is Nuno Bettencourt. He’s all about rhythm and phrasing. His note choice is unique and his approach is always very musical, and I still try to approach my playing and music in the same way. A lot of people will know you from playing in Dorje. How did that band come about? 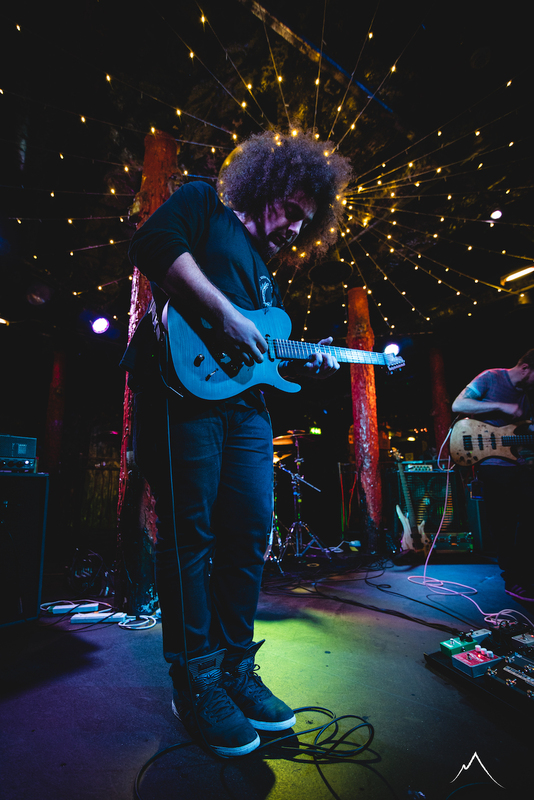 Dorje was formed by Rob Chapman, who I met him back in 2011, as he needed a band to play with as his (at the time) solo band. He realised very quickly that he didn’t want to be a solo artist and wanted to start proper band, thus Dorje happened. It was cool for me, because he was the singer and it meant that I got to do the lead guitar thing, much like Nuno in Extreme. Acting as a three-piece with a vocalist, it meant that I had to write riff-y, rhythmic parts to fill the space—always a great challenge and lots of fun for me! I love writing songs for Dorje because it fulfills part of my musical mind that’s trying to craft good, catchy, and intricate guitar music. As well as playing in bands, you also run a successful YouTube channel, make videos for brands, and are involved in the Musicisum school. How important do you think it is for musicians to diversify their activities and potential income streams? Also, how do you have time to do it all? I think in this day and age, it is crucial to diversify yourself. Becoming a successful musician, or in a successful band is extremely difficult, and one must be very lucky or in the right place at the right time. So, it seems logical to try and broaden your skill set within the area you want to work in. For example, when I met Rob and Lee from Andertons, I didn’t know much about making videos, editing, or being a YouTube influencer. Over time, building those skills, I also realised I also needed to be a proficient audio engineer and mixing engineer on top being knowledgeable about gear and being a good presenter on camera. By simply working hard and working within the areas that interest me, recognising weaknesses but equally recognising the necessary skills required to achieve the results I wanted, I had started to broaden my skill set quite a lot. It is cool to know that I have a lot more to offer now because of new media and the opportunities I’ve had to develop myself. For that I’m very grateful to those around me who’ve supported and helped me grow! In terms of having time, what is time? Your current focus seems to be on Toska. How did Toska form and how does it differ from Dorje? Toska was formed out of a personal frustration not getting to exercise part of my musical mind that was very close to my heart. That being alternative, progressive hard rock/metal. The three of us have known each other and played in various projects together since we were 17 (now 30) and although originally I had the idea of finding a new band to work with and mix things up, both Ben and Dave expressed their passion for the music too, so it was a no-brainer. It wasn’t that I didn’t want to work with them personally or anything like that, but at the time everybody was trying to find their feet as self-employed musicians and none of us were spending lots of time together. I had assumed they had much more important things to do than start a new band. I am so, so glad that we did this in the end and I couldn’t be more proud of us, sticking together and still writing music that truly excites us to this day! What gear are you currently using? How do you balance using vintage gear with using your signature models from Victory and Chapman? The rig I use for Toska and my general live sound is a stereo Victory Kraken rig, controlled with a GigRig G2. I use Strymon effects, and a bunch of stomps like an octave and a load of different fuzzes. My gear preferences are split down the middle, because on one hand I love that sound I get for the band, and I would say it is closer to "my" sound—generally, any crushing, thick, and powerful sound with lots of dynamic range and ambience. But on the other hand, I’m all about a good Fender Strat into a dirty crunchy blues amp, ripping out some blues rock like Philip Sayce, John Mayer, or Mateus Asato. Not that I can play anywhere near as good as those guys, but I aspire to one day! As much as I like a stereo rig with tons of effects, I also love the simplicity of a Strat, a Fuzz Face, and a Klon into an old Marshall Plexi or Fender Twin. Can you give us an update on the upcoming Toska release? Our new album, Fire By The Silos is due for release on November 2. For me personally, it is the best thing I’ve ever done. I’m so incredibly proud of it and it’s something we’ve always wanted to do together. I think it shows in the vibe of the record, and I also think it’s a much more cohesive record from start to finish. The first record (Ode To The Author) was rushed due to needing a physical record for our tour with Arcane Roots. We had to turn it around in 10 days from start to finish, and although that record has a special place for me, in my head it sounded a lot different to how it turned out. That’s not to say I don’t think it sounds good, I just know what my original intentions were in terms of a sonic vision. I’m still super proud of it and we love playing it live. Fire By The Silos is released on 2nd November. Check out Toska's upcoming November tour dates on their website here.